When a storm, such as Hurricane Sandy, sets waters in New York Harbor rising, those sloshing seas are now 20 times more likely to overtop the Manhattan seawall than 170 years ago, a new study finds. 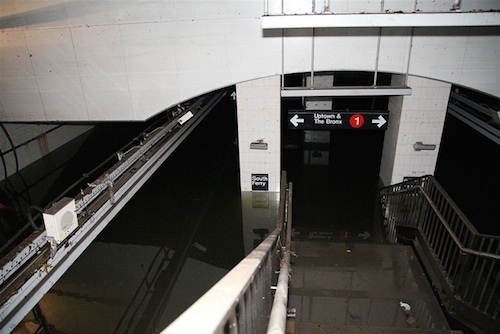 Hurricane Sandy's tremendous storm surge flooded the South Ferry subway station in Manhattan. The increased risk comes from a combination of sea level rise — which has raised water levels near New York City by nearly 1.5 feet since the mid-1800s — and storm tide, or the amount that local seas rise during a storm. Storm tide is itself a combination of storm surge (the water that a hurricane pushes ahead of it) and the astronomical tide. The storm tide at Battery Park, at the tip of Manhattan, during Hurricane Sandy reached a record 14.06 feet according to the National Hurricane Center’s report on Sandy. That high storm tide — more than 4 feet higher than the previous record set in December 1992 and the largest since 1821 — was created by a 9.4-foot storm surge and the evening high tide during a full moon, when tides are higher than normal (though the evening high tide was not as large as the morning one). The extreme rise in water level sent the Harbor flooding into the streets of the Financial District and other parts of Manhattan, as well as other city boroughs at depths between 2 to 9 feet above ground level. An estimated 305,000 houses in New York were destroyed, mostly by storm surge, according to the NHC. Total damage to the city was estimated at $19 billion, including $5 billion in damage to the city’s subway systems caused by flooding. At least 21 people were killed by the storm surge on Staten Island. The Portland State University researchers behind the new study, accepted for publication in the journal Geophysical Research Letters, noticed that three of the nine highest recorded water levels in New York Harbor had occurred since 2010 and that eight of the largest 20 had occurred since 1990. While sea level rise plays a large part in this trend, the researchers wanted to see whether increased storm tides might also be contributing, so they looked at hourly and daily tide gauge data going back to 1844, and found that storm tides have increased by 1 foot since that time. This graphic shows factors that contributed to the top 10 high-water events measured at New York’s Battery Park from 1900 to present. The water height for each event is shown here against the benchmark of mean lower low water averaged between 1983 and 2001. Sea level rise (about a foot since 1900) is depicted as a component of storm surge. 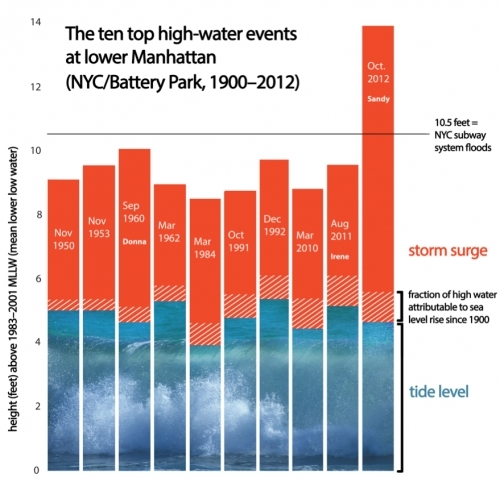 Although Sandy’s surge peaked close to high tide, other events had even higher tide levels. Click image to enlarge. Credit: Carlye Calvin and Bob Henson, UCAR; data courtesy Chris Zervas, NOAA National Ocean Service. While the rise in sea level is attributable to the expansion of warming ocean waters and ice melt, the cause of the rise in storm tide is not yet clear, nor is the possibility that the rise will continue into the future. “You can see that trend; it’s there. 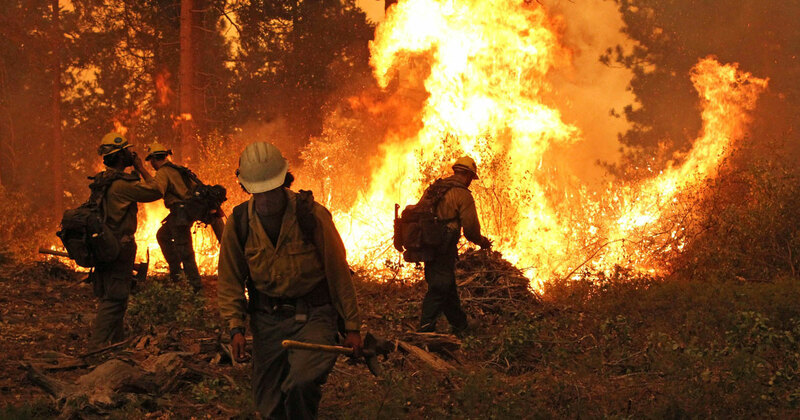 But the question is, is it related to greenhouse gases or something else?” climate scientist Radley Horton of the Northeast Climate Science Center and NASA’s Goddard Institute for Space Studies, told Climate Central. 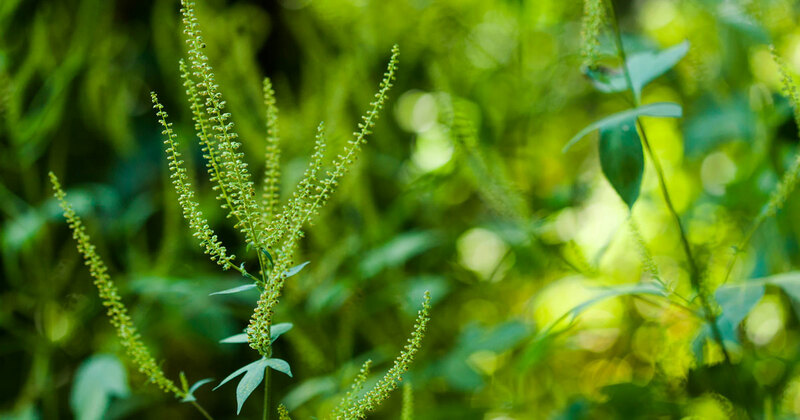 The researchers suggest that the trend in rising storm tide could be partly due to decades-long changes in a climate pattern called the North Atlantic Oscillation, as well as longer-term trends driven by climate change. More local effects, like the dredging of ship channels, could also play a role. While other studies have looked at increasing storm tides, this study goes back further in time, study co-author Stefan Talke, an assistant professor of civil and environmental engineering at Portland State University in Oregon, said in a statement. The study makes an important contribution to the understanding of coastal flood hazards in terms of extending the historical record tide gauge data, Horton, who was not involved in the study, said. 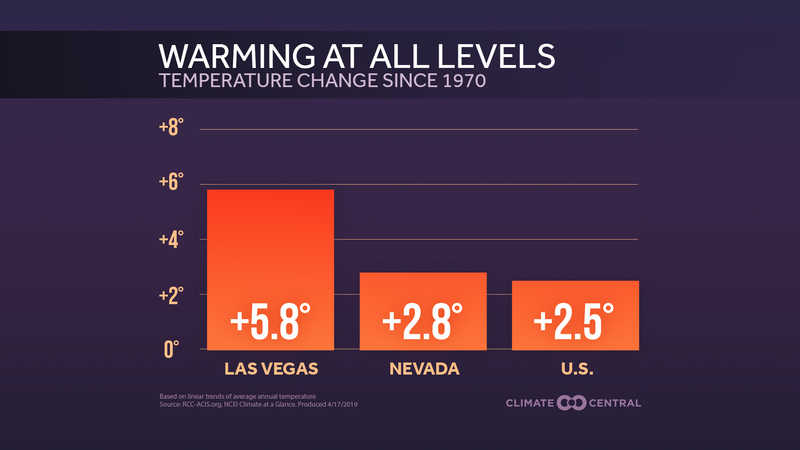 New Ways to Visualize Increasingly Hot Weather in U.S.